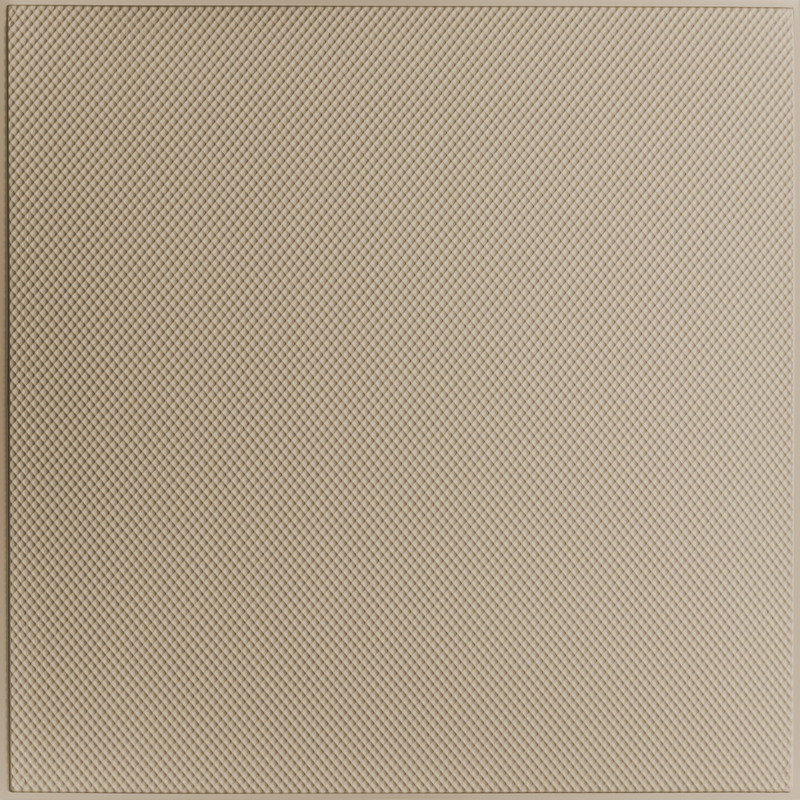 Sahara Ceiling Tiles is rated 5.0 out of 5 by 2. Sahara Ceiling Tiles have a subtle diamond pattern that pairs well with more elaborate designs making them the perfect border tile for many installations. Made from our Signature Series 0.030 in. thick vinyl plastic, they are thermoformed from molds based on original, hand-crafted metal ceiling tile designs and will add a decorative focal point sure to get people talking. 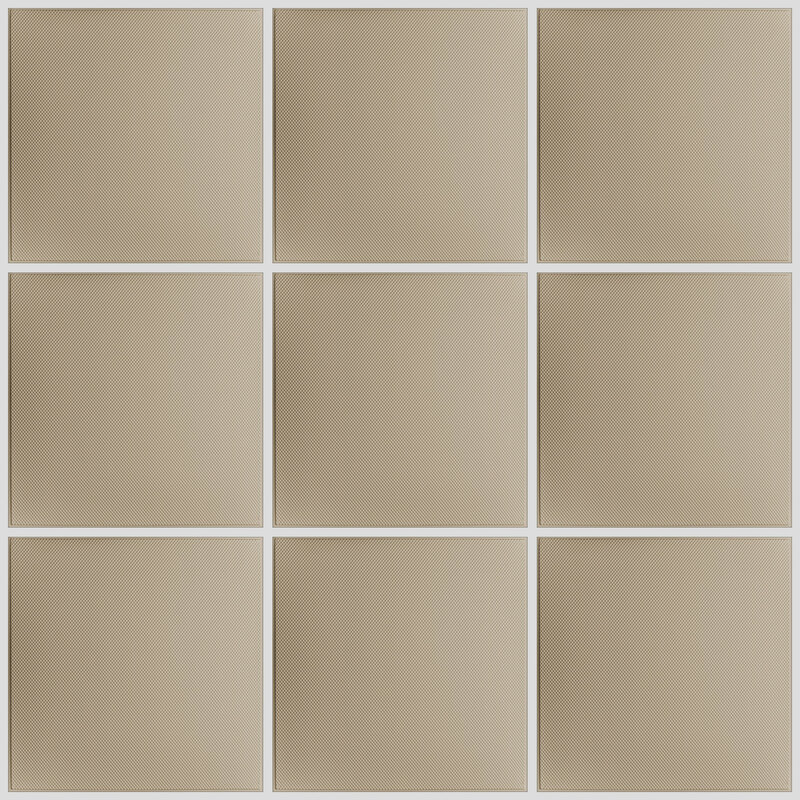 Ceilume manufactures ceiling tiles in 30 different styles that are available in up to 15 different color/finish options and 2 different sizes: 24&quot; x 24&quot; and 24&quot; x 48&quot;. We don't have any 12&quot; x 24&quot; options but would be happy to send up to 3 full-sized samples for you to experiment with to see if cutting them down would be an option. Just give us a call at 800-557-0654; we're here Mon-Fri from 6:30 am - 4:30 pm PST. Rated 5 out of 5 by Neha Arya from It is a textured finish, but looks great once installed. We used is as a border for the Oxford ceiling tile installation so we would have clean corners. It is an excellent looking drop ceiling. The product arrived on time and was delivered on the door step. Rated 5 out of 5 by Joe Pavlic from The tiles worked splendidly. I would rate the tiles at 5.